PSEC will unite primary science educators from across the UK and internationally. Over three days, the varied programme will offer outstanding professional development in primary science, complemented by a dynamic exhibition hall, which will offer resources and support across the entire primary curriculum. 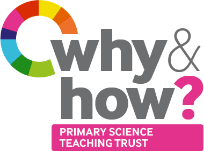 PSEC is brought to you by the Primary Science Teaching Trust (PSTT) - an educational charity whose vision is to see excellent teaching of science in every primary classroom in the UK.